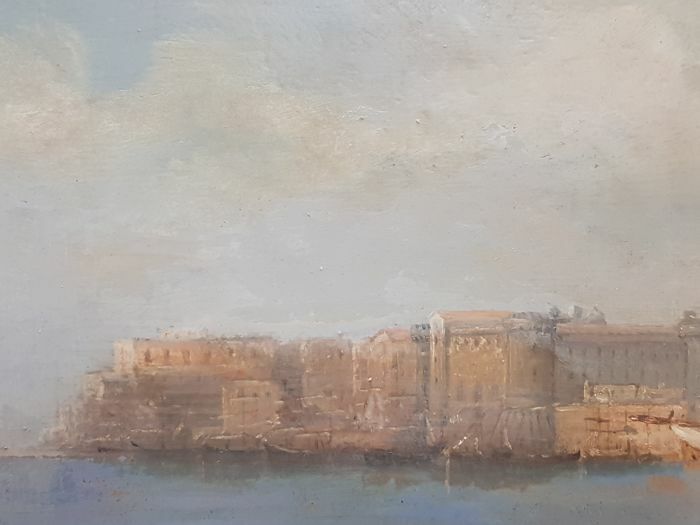 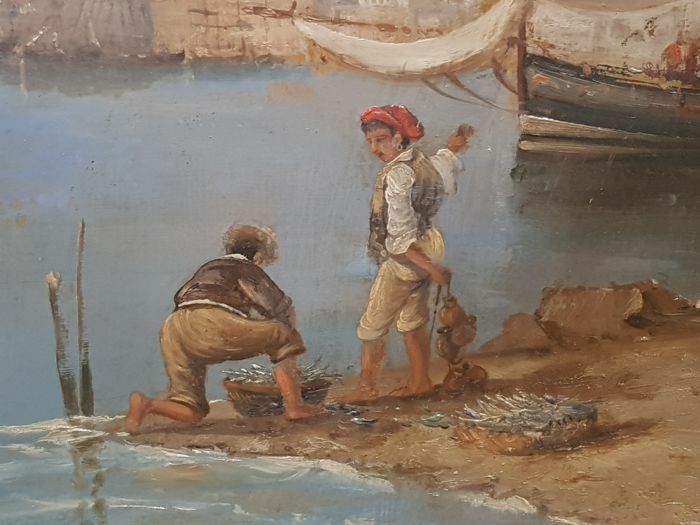 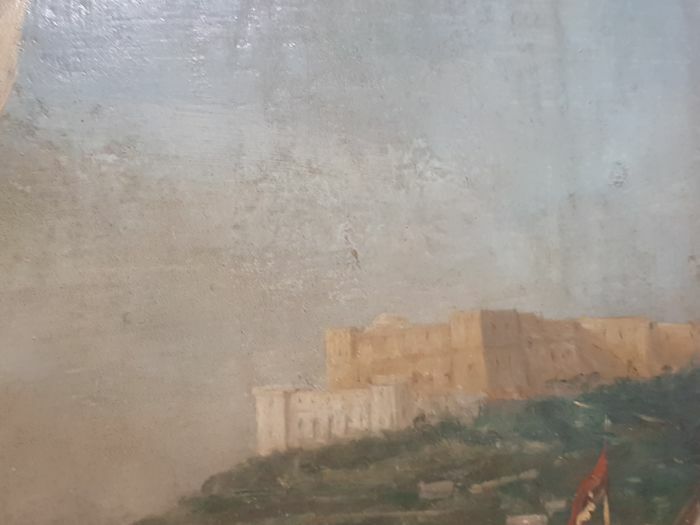 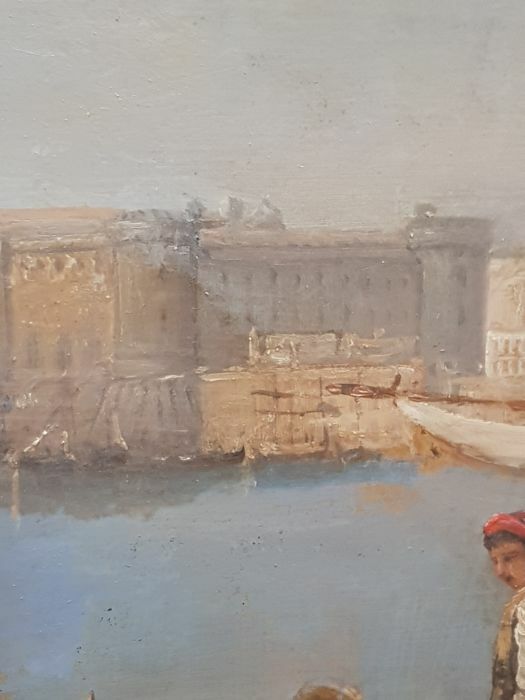 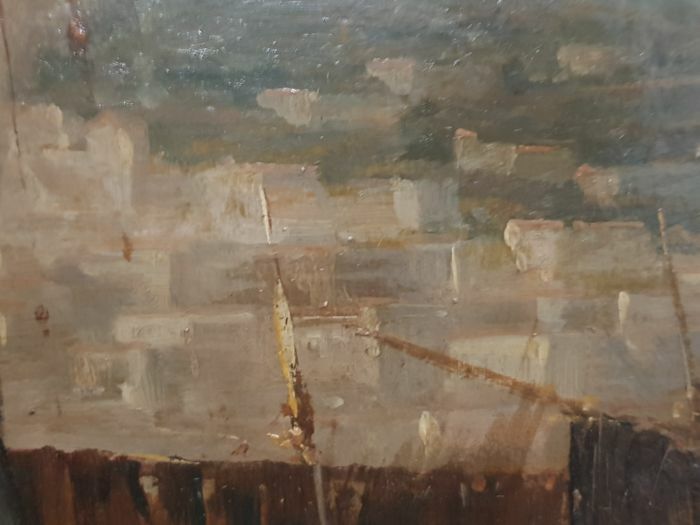 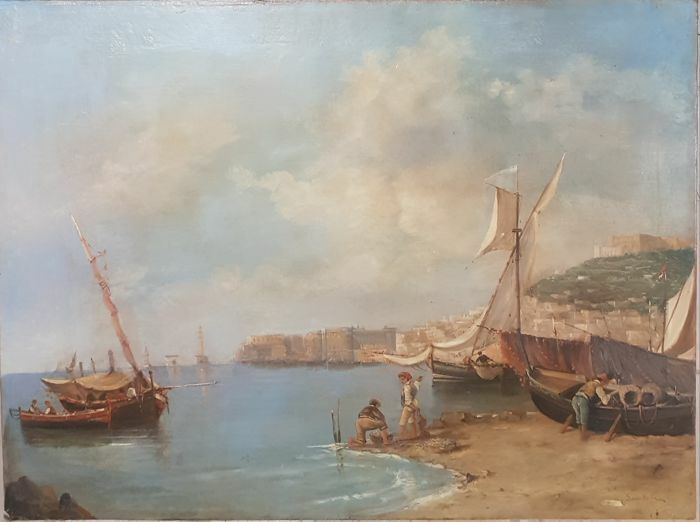 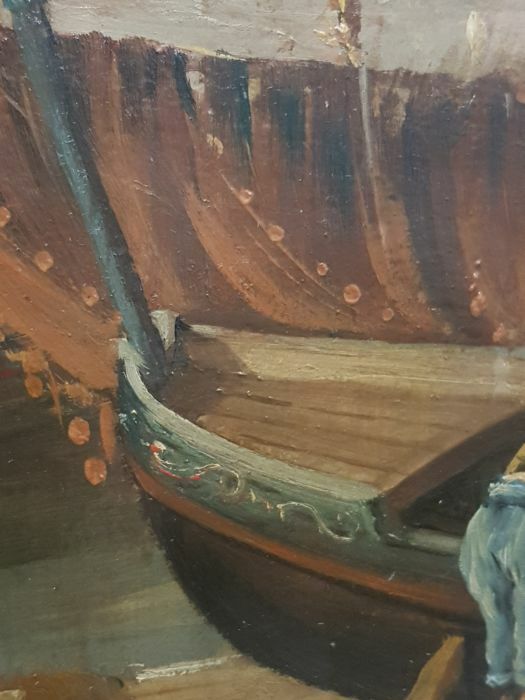 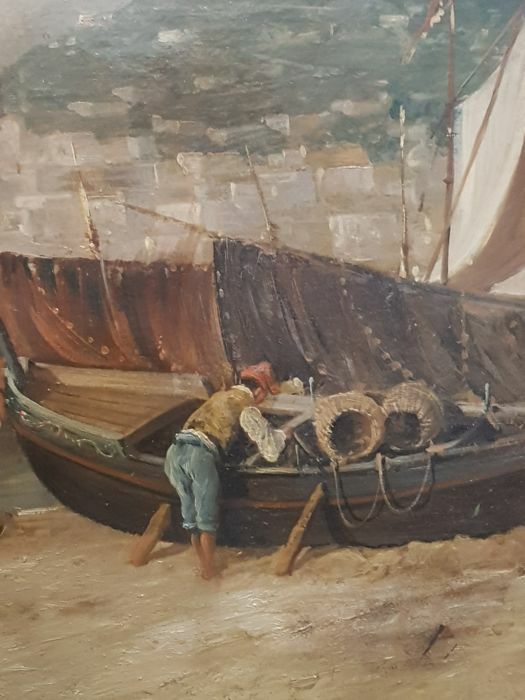 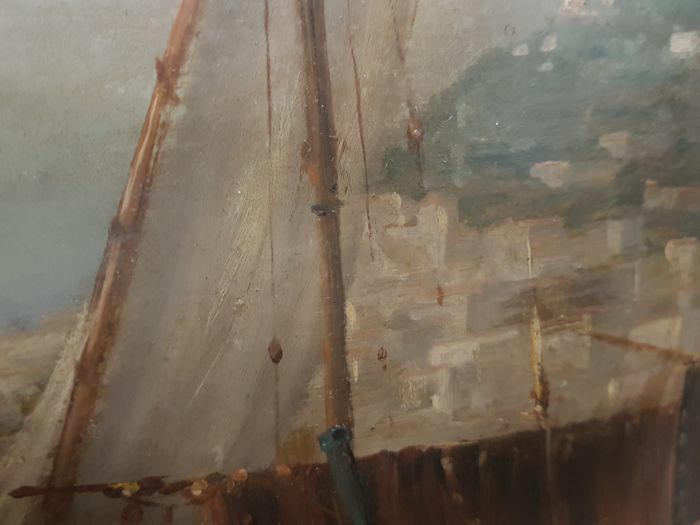 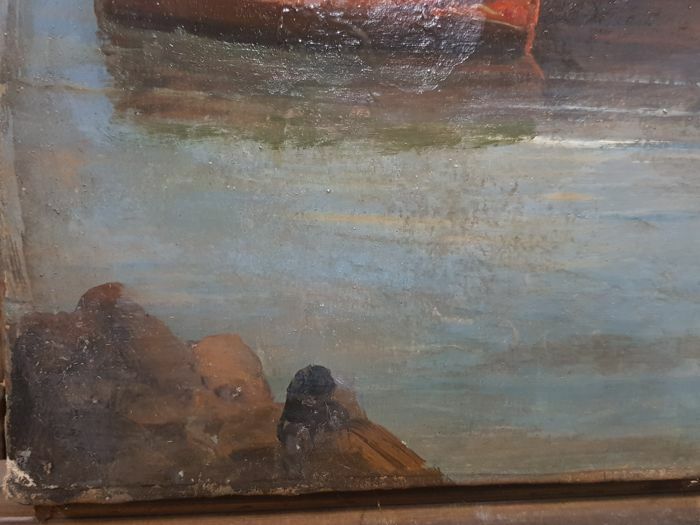 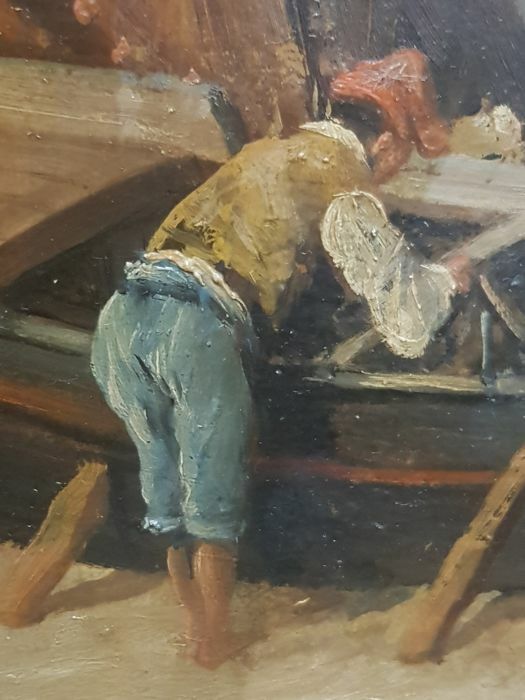 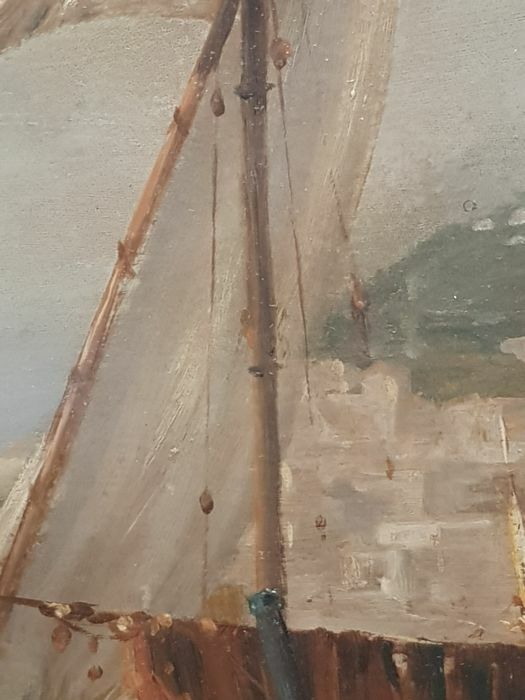 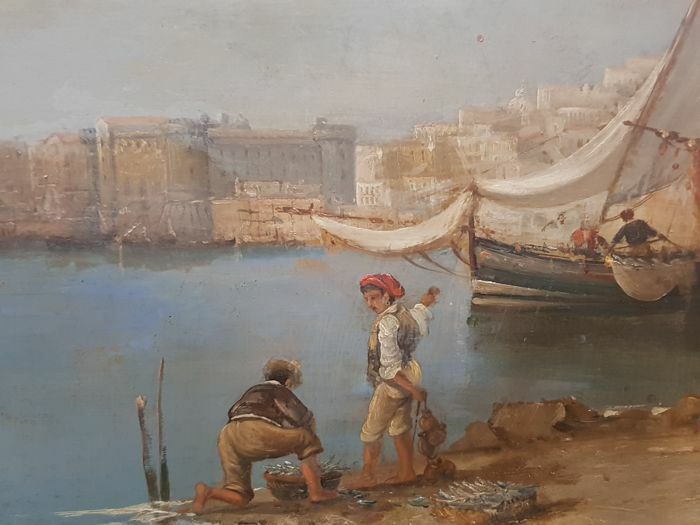 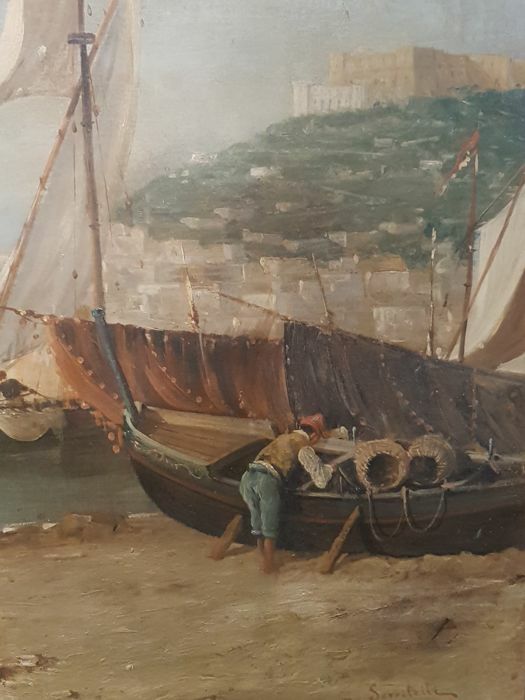 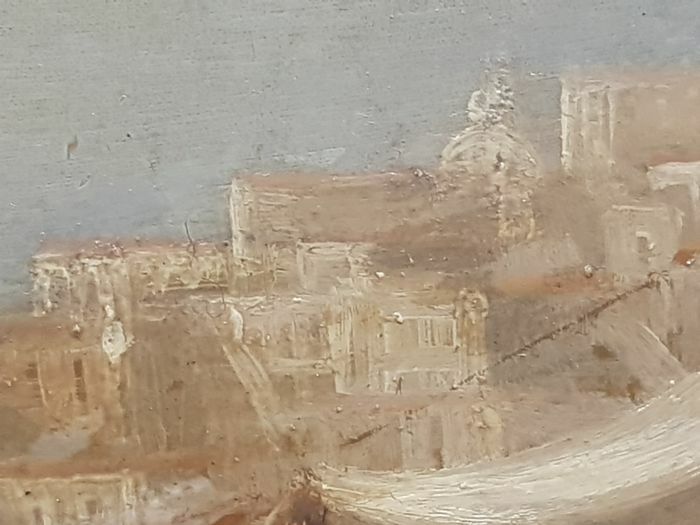 Oil on canvas depicting the bay of the Naples with boats and fishermen in the foreground, signed Serritelli on bottom right. 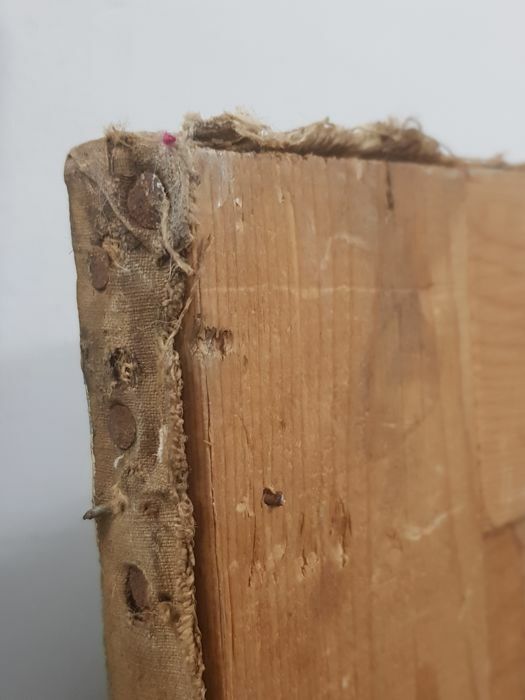 Small and insignificant restorations have emerged under Wood’s lamp. 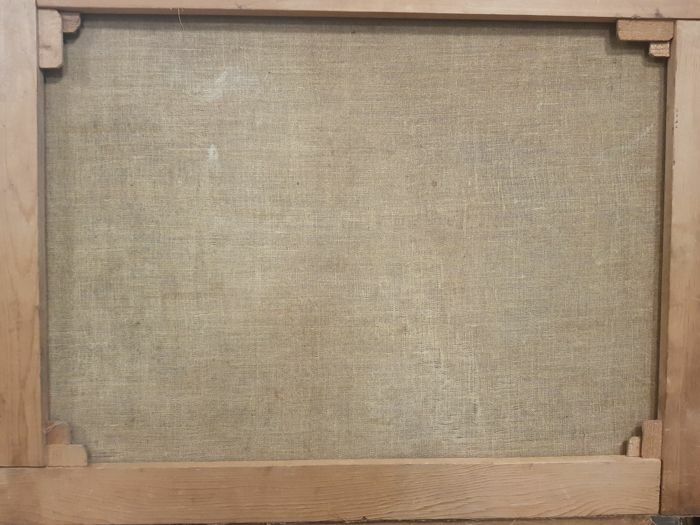 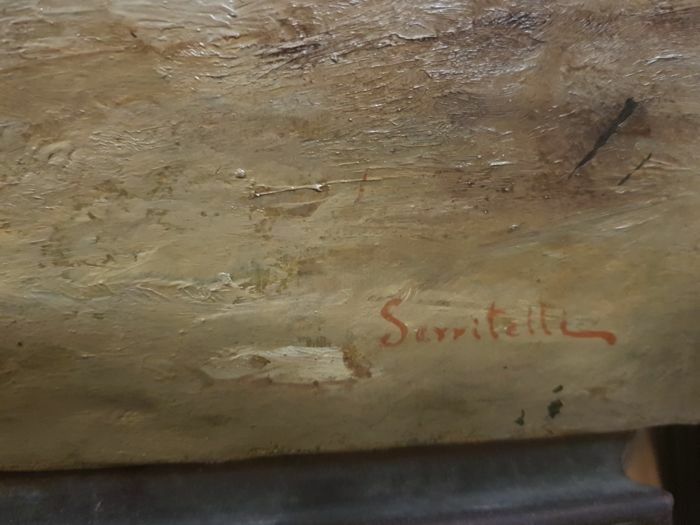 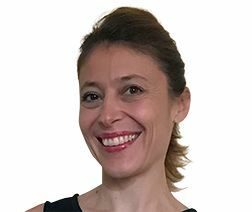 Upon verification with solvents, the work is authentic in its entirety with a coeval signature.